You will need your wholesale discount code. If not available please get in touch. 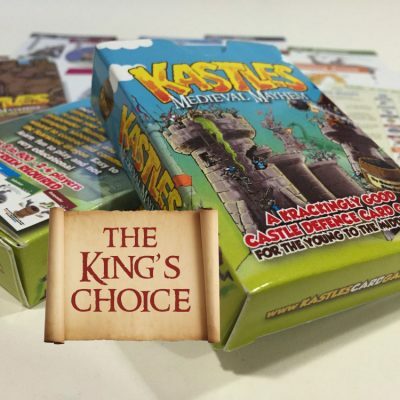 Kastles is a fast and furious mini strategy defence card game: a real punch-up in your pocket where you get to pit your wits against your opponents and watch them crumble as you build up your stronghold and plot their destruction. 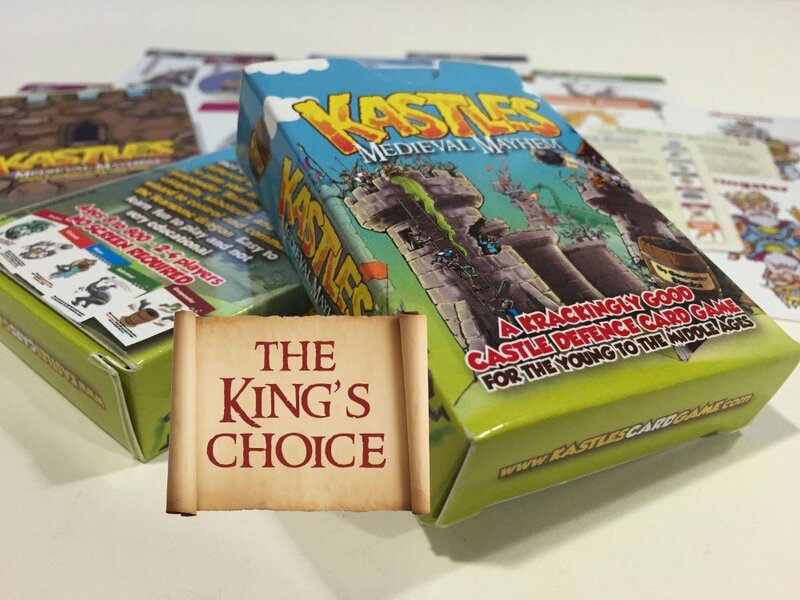 Every game is different as you use your cards to plan your attacks, deploying gunpowder, flaming arrows, lethal catapults, saboteurs and even a wizard to control and command the fearsome dragon. A 20-minute game that’s easy to learn, fun to play and not very educational. 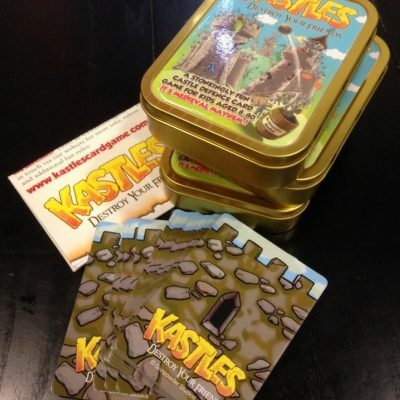 The New Kastle Card Game is printed on 300gsm professional quality card stock. The whole thing is a lovely little package that’s easy to store or travel with. 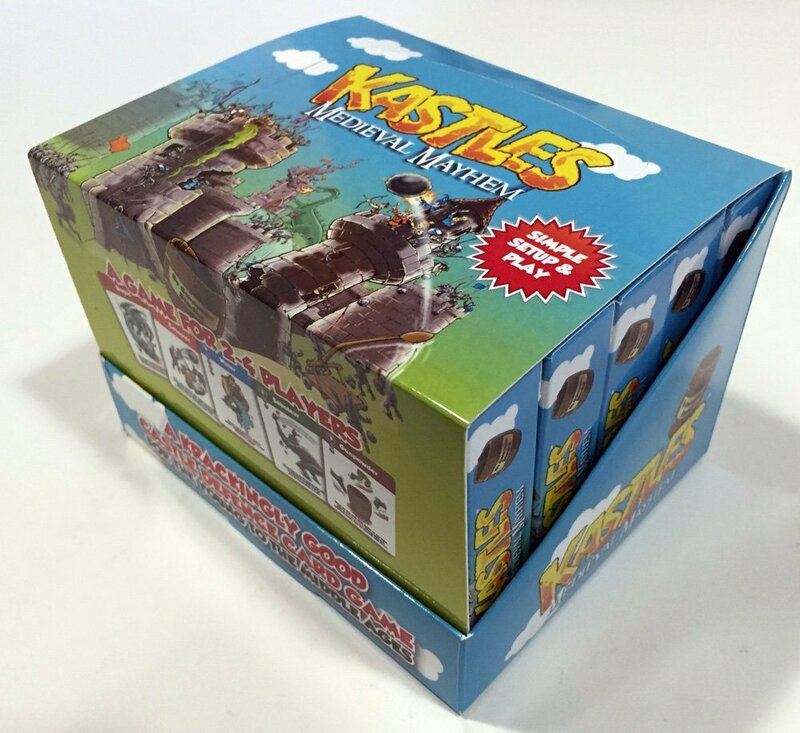 Comes with rules, cards and everything you need to play the game apart from a table and some friends.